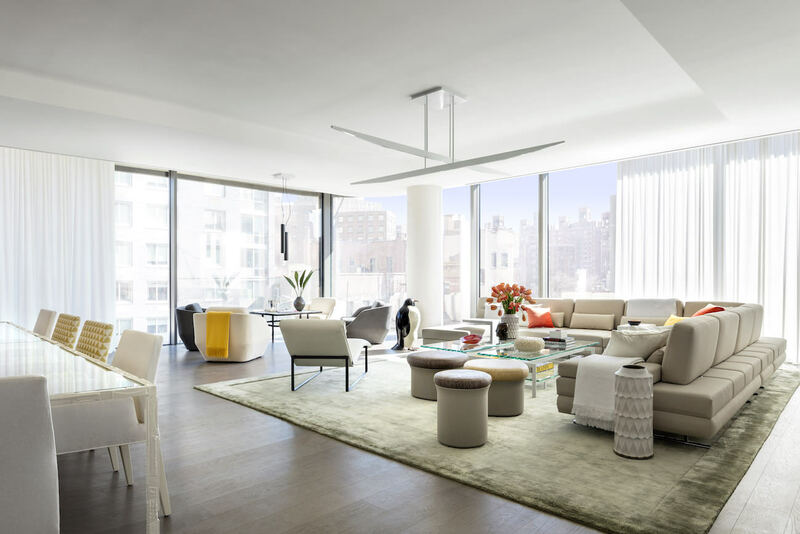 Now Reading : If you are seeking a pied-a-terre in New York, you should definitely go to 520 West 28th Street! 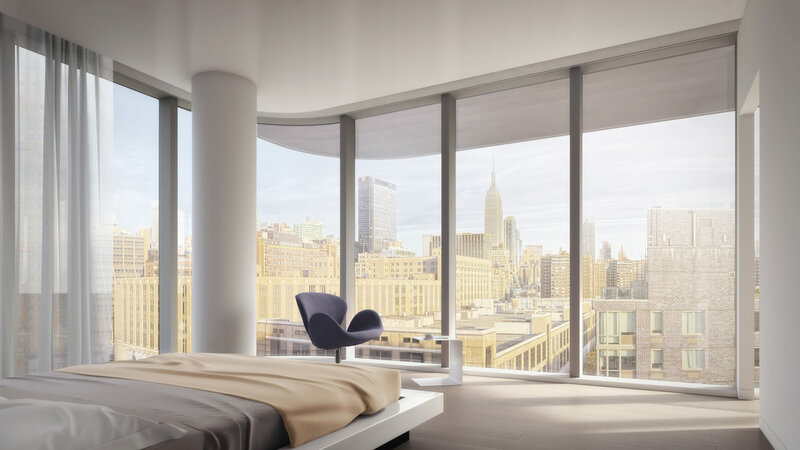 520 West 28th Street is ideally located near New York High-Line into the heart of West Chelsea. Even if this place is truly popular, the building and its 21 interlaced floors with 39 flats keep unparalleled intimacy. The inside appears to be as modern as the exterior aspect. So 520 West 28th Street is both urban and contemporary. The apartments could represent up to 594sq.m concerning the penthouse and 3m-high ceilings. Each of them has huge outdoor terraces and bay windows in order to merge outside and inside. If 520 West 28th Street localisation is ideal, it’s because the neighbourhood is developing quickly. It will soon welcome huge companies such as Loreal, CNN, in addition to hundreds of boutiques and also the first Neiman Marcus in New York and a series of restaurant mastered by the famous Thomas Keller. 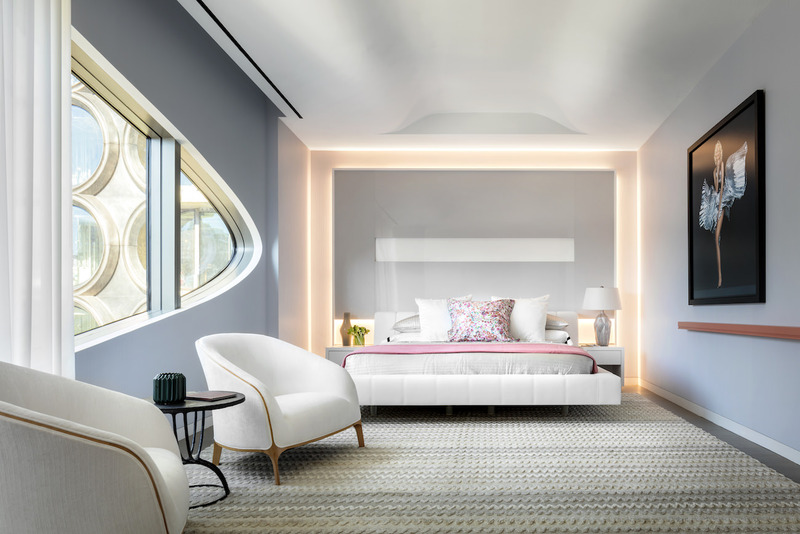 Then, each owner will be able to enjoy the numerous common spaces of the building such as playrooms, courtyard and garden, spa and 22m-long pool, as well as the spa, sauna and IMAX theatre. 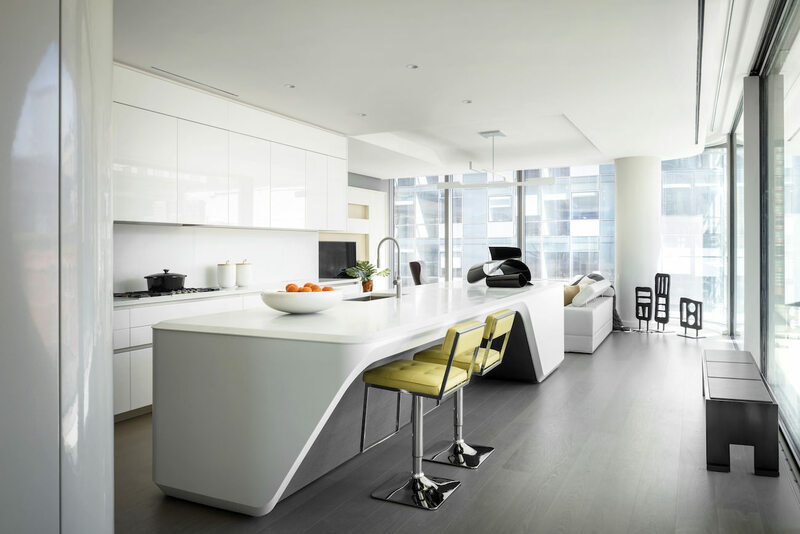 Each of the apartments will also possess a special work of art from Zaha Hadid, displayed in its own particular décor. 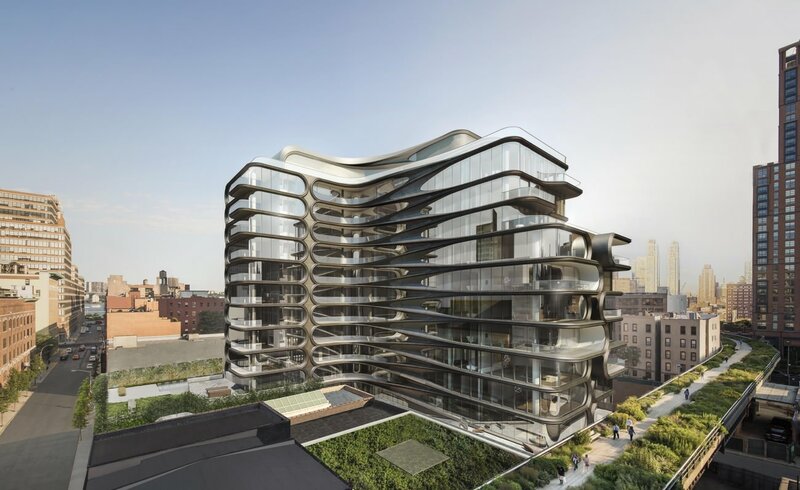 To make future owner dream, Zaha Hadid has decorated a four-bedroom apartment on top of the 520 West 28th Street. As many of the flats, this one has its own private entry and a breathtaking view of the High-Line. It is also equipped with all desired technologies. 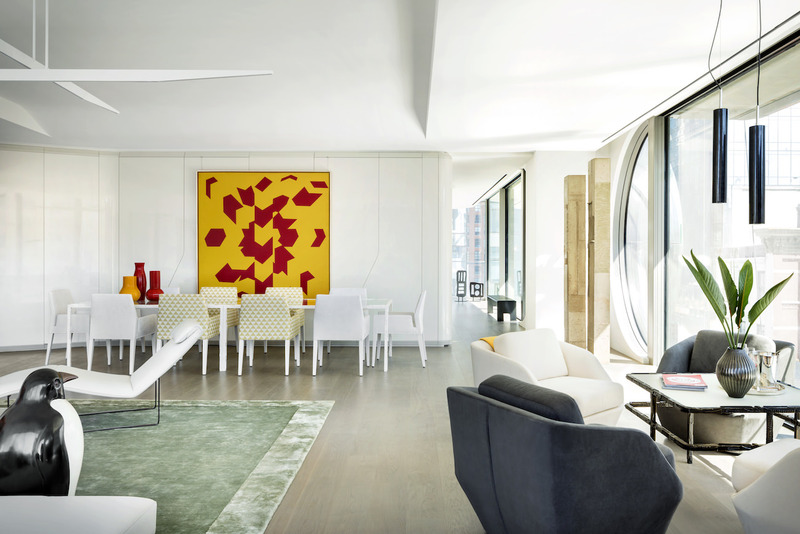 Like other apartments, the one on top of 520 West 28th Street is brilliantly decorated in soft and calming tones, enhanced by remarkable and colourful artwork. If the bathroom is built with marble, the main bedroom is luminous and spacious thanks to huge bay windows and large walk-in closets. The rooms lighting system has also been imagined by the rewarded designer. Then gourmet will fall in love with the fully equipped kitchen and its two fridges, three ovens, two dishwashers and even a 70-bottles wine cellar. 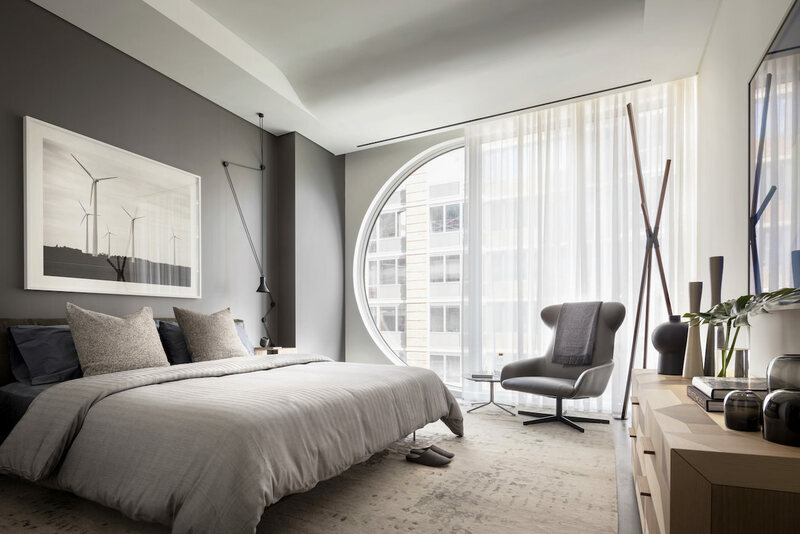 Interior reminds cleverly the curve and harmonious forms of the 520 West 28th Street. 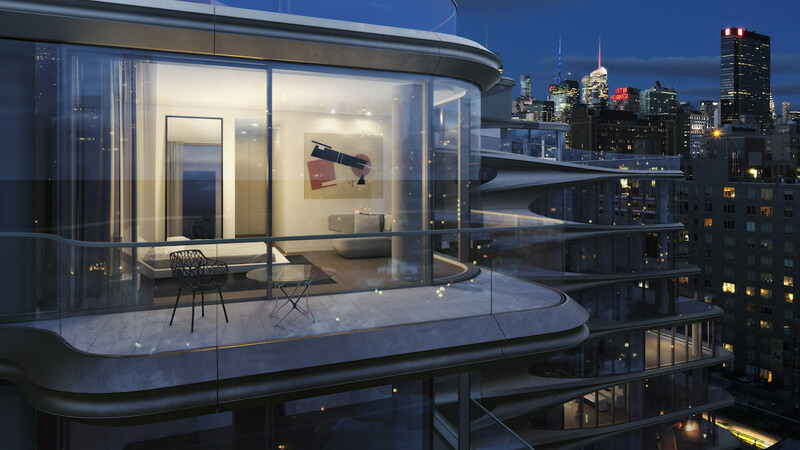 Each apartment is now available for sale and their price can vary from 4.950.000$ to 50 millions! 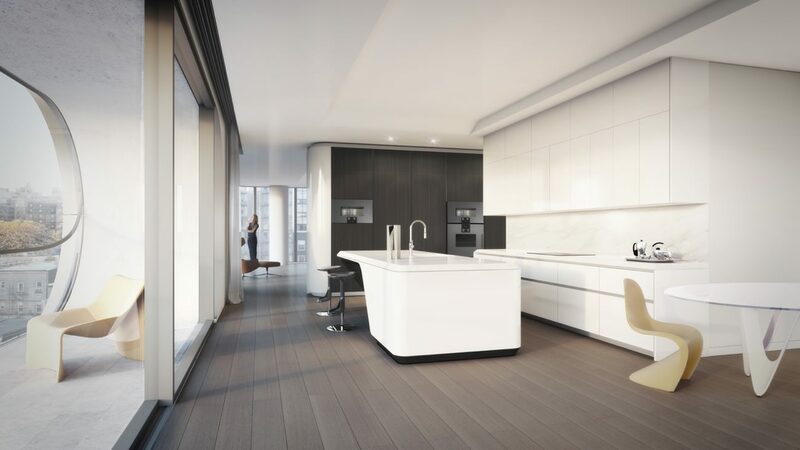 Share the post "If you are seeking a pied-a-terre in New York, you should definitely go to 520 West 28th Street!"